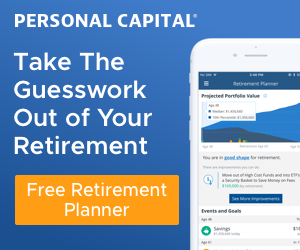 I’ve written about Health Savings Accounts (HSA) before and how they are one the best retirement plans you can get your hands on. In fact, it might be THE best account out there. 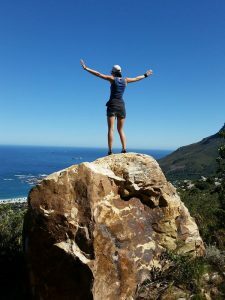 I thought I knew all the HSA benefits I could get out of this account, but in this post, I’ll tell you about a new one I learned about. If you’re not familiar with an HSA, it’s a medical savings account that’s paired with a high-deductible medical plan. Because you’re on a high-deductible plan, you usually pay less of a premium (the amount a lot of us see taken out of each of our paychecks). What usually gets people started in this is that they can then take the difference and contribute that to their HSA account to be saved. Your HSA stays with you over time even if you leave your employer so that provides a good opportunity for your money to grow. In the meantime, you can use your HSA funds to pay for qualified medical expenses. The kicker is that the contributions to your HSA are put in with pre-tax dollars and then, when used for medical expenses, they’re withdrawn tax-free as well. You need to be careful though. If you’re just contributing a little bit to your HSA, those first couple of years mean you’re not going to have a lot to be able to help pay for the high-deductibles on the medical costs. But over time, the amount in your HSA can start to build up. And you can contribute more than just a small amount to it if you want. The 2017 contribution limit is $3,400 for individuals and $6,750 for families with a $1,000 catch-up contribution if you’re 55 or older. In 2018, the limit is $3,450 for individuals and $6,900 for families (still with a $1,000 catch-up if you’re 55 or older). Most HSA providers will also let you invest in the stock market as well once you reach a certain amount. Between the tax-free contributions and tax-free distributions (for medical expenses), the HSA can be considered a great retirement account. Accounts like the famous 401(k) plan don’t even let you take your money out tax-free! The HSA is the only account I’m aware of that doesn’t have Uncle Sam coming after you at all. 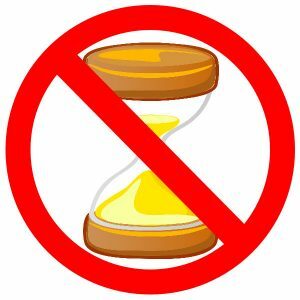 See… it’s the “no” symbol and an hourglass. Kinda like no time or… no deadline – get it? A lot of work to try to get a picture to work in this section… I’m ready for a nap now! There’s another benefit that I recently learned about with HSA accounts that I wanted to share. First off, I can’t take credit for this – I learned about this fantastic idea from a Mad Fientist article titled HSA – The Ultimate Retirement Account. He actually wrote this a number of years ago, but I just stumbled on it earlier this year. It just made my jaw drop in its utter simplicity and awesomeness, so I wanted to share the idea with my readers. The HSA is cool because your contributions go in tax-free and then the money in it grows tax-free. Then, if you use it for medical expenses, the distributions are taken out tax-free as well. Hmmm, stupid medical expenses stipulation… that’s the one thing keeping the HSA from being a perfect retirement account. But what if there was a way to be able to pull your money out of this account in retirement to use as you feel fit? Ah, now that’s the spirit! Asking all the right questions! When you have an HSA, you’re able to pay for qualified medical expenses out-of-pocket and then reimburse yourself from your HSA at a later point-in-time. The key is that the expenses incurred need to have taken place after the HSA was opened. So here’s the interesting part… there’s no deadline as to when you can reimburse yourself. Ok, Jim – that’s great and all, but what does that matter? Here’s why… because you can pay all your medical expenses out-of-pocket and just leave the money in your account to grow tax-free over the years. As long as you hang onto your receipts, you can then just pull that money out at a later time for reimbursement to use for whatever purpose you want. Now that’s a fantastic plan! Think about it… by not using the funds, it leaves more money in the account and gives it a longer amount of time to continue to grow. The end result is that this will likely translate into much bigger earnings. Then the best part is that those earnings get pulled out tax-free. This is the closest photo I could find out there that really shows that we’re on top of this idea… even though I’m not a woman and would probably pee myself up there! After learning about this great idea, we’ve decided to start this process for ourselves. As of this year, we’re now keeping strict records on every qualified medical expense and paying for the expenses out-of-pocket. You can find out what qualifies as a legitimate medical expense by going to the boring old IRS website. Here’s a list of what counts for the 2016 tax year. I have a simple Excel sheet that I’m adding those qualified expenses to so I can keep track of each one as well as the total. I’m also scanning each receipt and keeping it in a yearly folder so I can find them easily. All of this, I keep in an HSA folder that I backup three different ways, including an offsite backup (sometimes it pays to be in the IT world and know a few tricks!). At whatever point we decide to start withdrawing from our account, we’ll then pull the money out tax-free as a reimbursement to ourselves to use as we please. We will probably wait until later in retirement, but the idea of knowing we don’t have to wait makes it even better. A simple, but effective strategy! How cool is that?!! 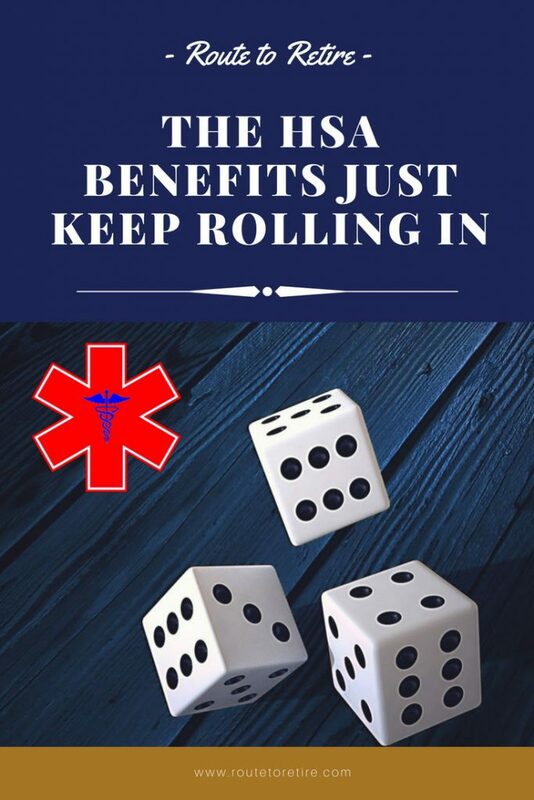 I didn’t think I could find something to make the HSA benefits even greater, but this one certainly is a creative idea to consider using! Do you have an HSA? Have you heard of this great idea to make it even better? An HSA is truly a great option if you have a high deductible plan. I am reading more and more about them everyday. Unfortunately, my wife and I do not currently have access to one. I will have to wait to see what the future brings. Great analysis. The good news is that more and more employers are starting to offer them. Might be worth asking HR if that’s something they’re considering adding. I currently have an HSA. This is my second year having one. I’ve been able to save money with it. Once enrollment begins at my job, I’ll probably keep it for another year. We are big fans of the HSA too! Just became eligible (HDHP) last year and so we dove in. Interesting stuff Jim! We love our HSA and hope to keep the money growing for many years. With any luck, the annual market growth on those dollars will exceed our medical expenses! I like your thinking! I hope to have the same!